Our area of expertise includes providing quality personnel to staff VLCCs, Aframax vessels, Suezmax vessels, LPG tankers, LNG vessels, container ships and bulk carriers. Our company has offices at all the major ports in India, as well as in cities like New Delhi, Bangalore, Ahmedabad, Nagpur, Hyderabad and Ludhiana. Hence, we are able to source and liaise with officers and ratings from all over India. We further recognise that training is an essential factor to ensuring a pool of qualified crew. We firmly believe that the smooth operation of any vessel is the outcome of "right person in the right job". This requires a reliable and valid selection methodology to ensure we select the right people. Providing fully competent officers and crew, duly certified in accordance with STCW 10 and also with specific qualifications for the type of vessel and the trade. 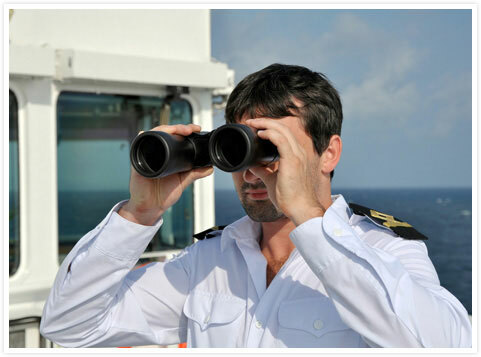 Maintaining a pool of seafarers to ensure that continuity and quality are maintained on all ships crewed by us. Providing competence-enhancing training through tie-ups with various maritime training institutes. Arranging medical examinations and fitness certificates. Arranging visas and ticketing, and closely coordinating with agents. Assisting in handling PNI claims. Representing the principal in legal cases filed in India by crew members on matters relating to disability, medical issues and breach of employment contract. Establishing a close liaison with local unions and other regulatory bodies on behalf of principals. Entering into appropriate agreements with MUI or NUSI if owners require ITF, IBF and ILO compliant wage contracts. Arranging payments of earnings and allotment, arranging cash to master, and maintaining accounting and portage bill of crew engaged on vessels. Organising visits to vessels by superintendents to supervise the crewing arrangements to determine training requirements in consultation with the master of the vessel. The core activity of the company is technical management. To provide quality services, we have a team of highly talented and experienced superintendents and staff who are dedicated to looking after the assets that the ship owners have entrusted to us. We adhere strictly to the budgets mutually agreed with the owners and guarantee that there will be no hidden costs or financial surprises. Effective planning, operational experience and the use of historical data enable us to work out realistic and efficient operational budgets for vessels under our management. Our Accounting Department runs a monthly check on budget versus actual expenses and coordinates with our Technical and Procurement teams to ensure strict budget compliance and monitoring. Various budget reports are regularly made available to our clients. Timely supply of quality items at competitive prices. Economy in purchasing by maintaining optimum stock levels, planning procurement and optimising order quantities. Prevention of loss of earnings caused by operational deficiencies due to lack of materials. Effective vendor management through identifying reliable and competitive vendors globally who have a track record of efficiency and quality. 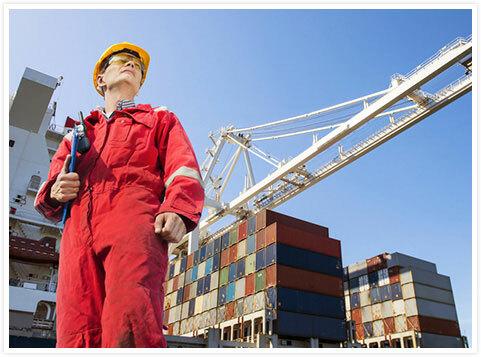 We have the expertise to execute repair, upgrade and conversion projects along with voyage and in-port repair and maintenance with the help of associated ship repair companies. We also have business relationships with first-class suppliers, workshops and marine service providers, thereby ensuring that our clients receive a reliable and high-quality service at optimum prices. KSMS has the capability to arrange cost-effective and economical afloat repairs by experienced riding gangs when necessary. We supply a tailor-made team of welders, carpenters, steel supervisors, plumbers, fitters and pipe fitters as per the requirements of an individual vessel. KSMS offers dry dock management of vessels in all parts of the world. We provide end-to-end management of multiple facets of the dry docking process, ranging from selecting the appropriate dry dock and meeting a vessel's special requirements to arranging a class surveyor’s attendance to ensure proper certifications and approvals are obtained. KSMS has an excellent business relationship with economical and reliable yards across the globe and our technical superintendents are well versed in managing dockings from a technical and economic point of view. Our Technical Department plans effective repair projects for our clients that are carried out whilst the vessel is in service, thereby reducing time and costs during dry docking. We are proactive by habit. Planning is an integral part of our activities allowing us to minimise the waste of resources. Close interactions between on-board personnel and highly experienced shore-based engineering and marine teams. Effective planned maintenance and procurement systems. Our computer-based systems are used to monitor vessel performance. Data sent by ships is analysed onshore to optimise a vessel’s speed and fuel consumption. KSMS is certified and audited for compliance in accordance with the ISM code and holds documents of compliance for most of the commonly used flag states. The company has a dedicated team of experienced and qualified auditors to manage, continuously improve and implement its quality system. KSMS conducts pre-purchase and independent surveys of a vessel’s condition of behalf of ship owners, financial institutes and banks for all kind of ships at cost-effective rates. Our experienced technical superintendents will carry out a thorough inspection of a vessel and give the owners a comprehensive report of the assets. Our technical superintendents are available to travel at short notice to carry out pre-purchase inspections as instructed by the owners. KSMS can also reflag and change the class of a vessel at the owner’s request and can provide consultancy for the same.